Considering everything that's happened over the past six years, you'd think that Hulks--especially blingy Hulks--would be extinct by now. They're not, because bot-aspirants like Gaufres keep buying them. So we'll keep killing them, as Agents Ernst Steinitz and Max August Zorn did. Of all the blingy ships that die in Uedama, HACs are odd ducks. 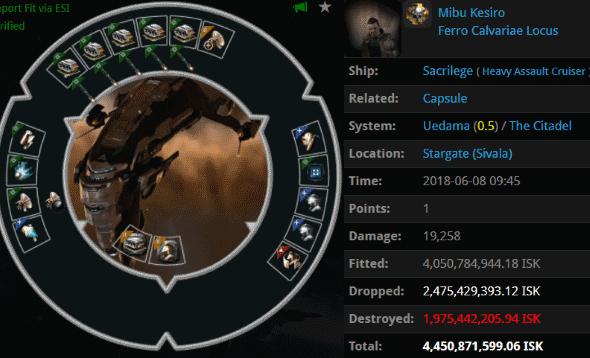 Mibu Kesiro apparently felt like giving our Agents some variety by feeding them a 4.4 billion isk Sacrilege. Agents Harletta Quinn, Trump The King, Baron Rozei, Ivanka Rozei, Lagatha Rozei, Ruby Rozei, Sherri Rozei, Shanade Rozei, Christine Rozei, Giselle Rozei, Katy Rozei, and Tawny Rozei were happy to put the strange ship to death. 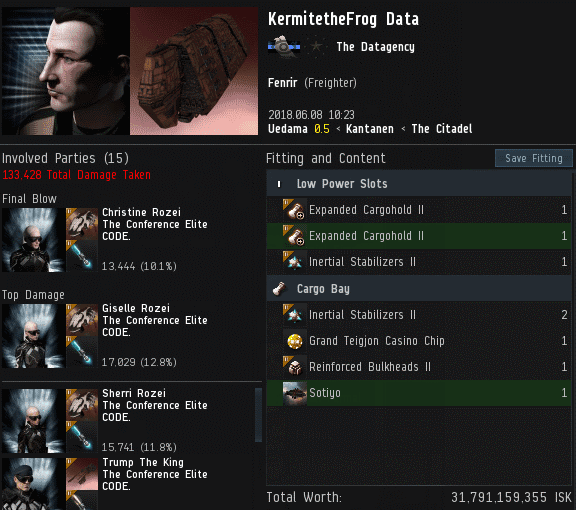 To the surprise of no one but the KermitetheFrog Datas of the world, freighters continue to suffer and perish in highsec. KermitetheFrog met his fate in Uedama, where his freighter joined its ancestors. This particular bot-aspirant suffered more than most, though: He lost 31.7 billion isk. His loss was our Agents' gain, as the Loot Fairy accidentally allowed the Sotiyo to drop. Agents Giselle Rozei, Sherri Rozei, Ruby Rozei, Trump The King, Christine Rozei, Shanade Rozei, Lagatha Rozei, Ivanka Rozei, Katy Rozei, Tawny Rozei, Baron Rozei, Georgia Rackner, eviserater Adoudel, and Harletta Quinn were the richer for it--as was highsec. Mark Robert Mills goofed. I'm not referring to the fact that he got his Scorpion Navy Issue CONCORDed, though that wasn't one of his brighter ideas. I'm simply talking about the fact that he thought he could prevail against the Agents of the New Order. That was dumb. One way or another, he was going to lose. Agents medsouz, Tuomas Arturi, and Krig Povelli joined CONCORD Police Commander in punishing Mark's foolishness. Remember last week, when I said that the only thing worse than a mining Talos would be a mining Catalyst? One must be careful when saying things like that. 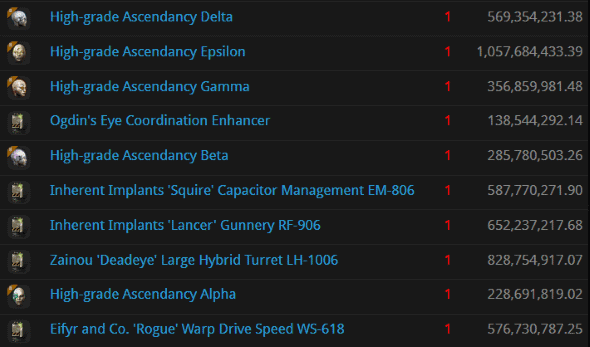 Because, well, we're dealing with highsec miners. 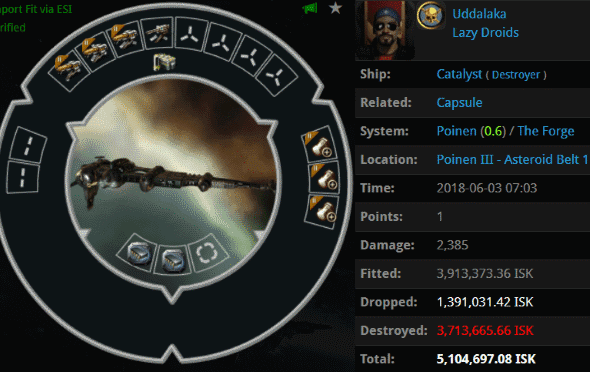 Uddalaka manifested the cruel joke of a ship. And this ship was poorly fit even for a mining Catalyst. Agent James Poddington quietly put Uddalaka out of his misery and moved on. Are blingy pods making a comeback--again? 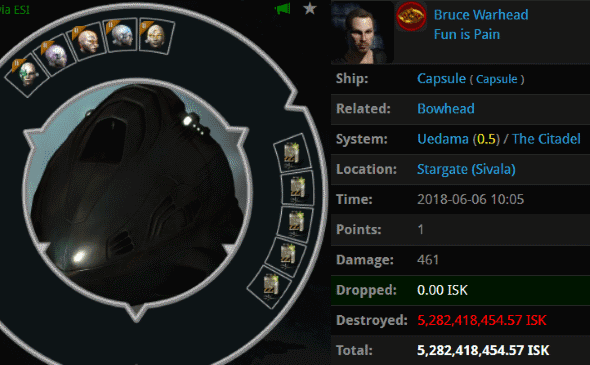 Bruce Warhead lost a 5.2 billion isk pod to Agent holdmybeer's smartbombs after Bruce's 5.3 billion isk Bowhead went down in flames. You see those implants? 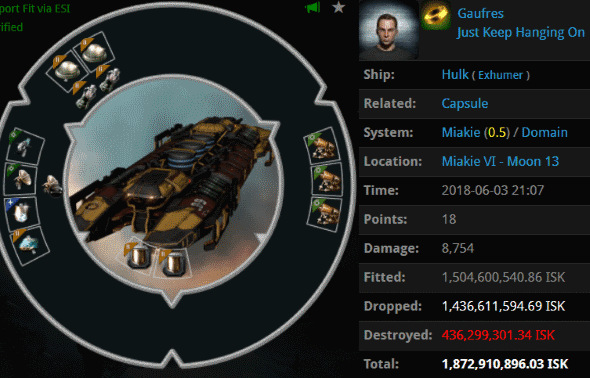 Another set was destroyed the very same hour (also worth 5.2 billion isk, obviously). 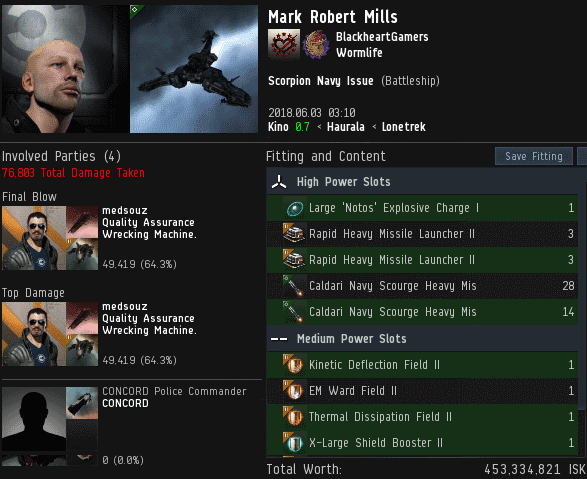 Its pilot lost a 1.7 billion isk Vindicator. Both of the blingy pods belonged to members of the Fun is Pain corporation. I've got a feeling these carebears have a lot more experience with pain than fun. That's not likely to change. And without the Code, they're doomed to a future with a whole lot more pain. wow just wow. were was antiganking during all these kills?